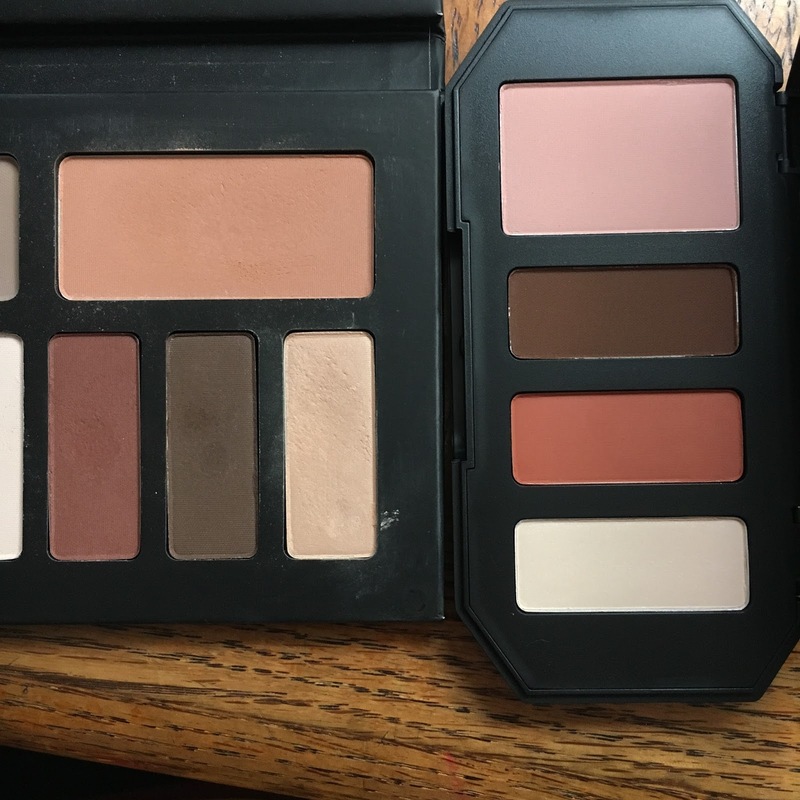 This is just a quick post to show you the difference between KVD's new Eye Contour quad in Rust, and the "warm" quad from the original KVD Shade & Light Eye palette. They are definitely the same color family, and I'm interested in mixing/matching the shades in an eye look, but there are no repeats. The three smaller pans in the S&L Warm are more muted compared to the three smaller pans in Rust. In the swatches above, I switched the order of the second two shades from the S&L Warm so that you could see them next to their analogous shades from the Rust quad. The base shades are definitely different, with the bottom one being actually more like a baby pink, while the top one is definitely peachy. The contour shades aren't even remotely close - one is more of a dark red, and the other is quite pumpkin-y. The highlight shades are different in texture and color (and I apologize, I picked up a little too much product when swatching the bottom one - soft texture). 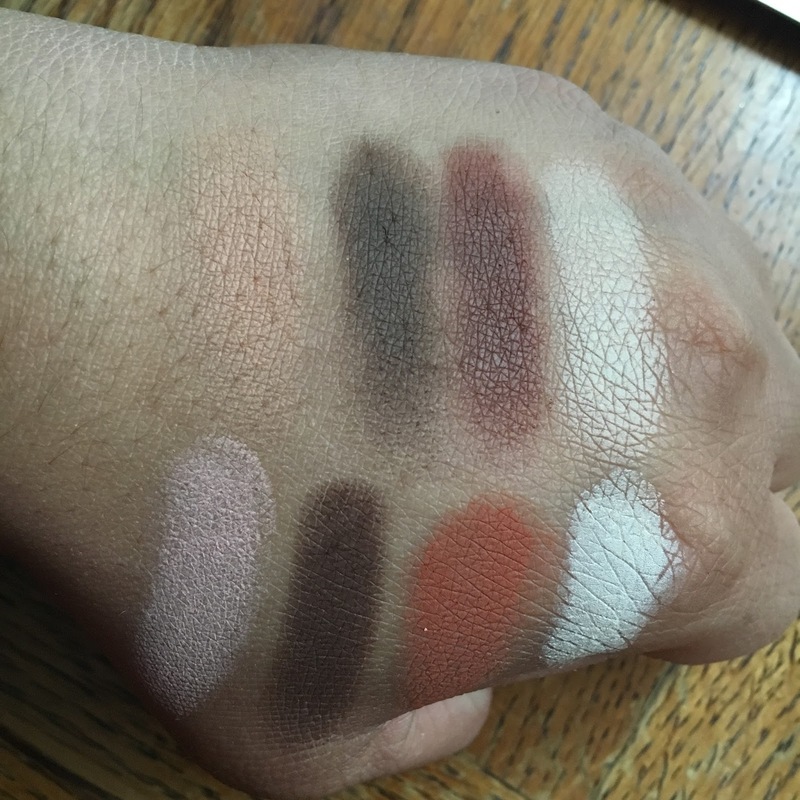 All of these shades are supposed to be matte, but you can see that some of them come out a little more satiny than others. The top shade has a peachy tone to it, compared to the bottom one. And of course, this is all observable even without swatching :) You can see these differences just looking at the pans. If you're not as into KVD as I am, then it depends on your needs. If you just want to experiment with orange-based shadows, then pick up the Rust quad - it's only $26, and it's small and cute. 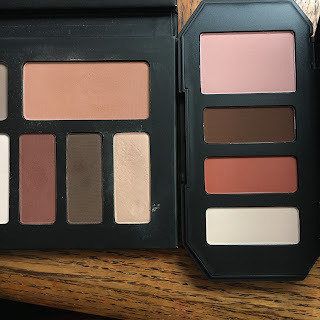 However, the Shade & Light Eye palette is pretty spectacular because it contains a neutral quad and a cool quad as well, so if you're more in the market for a great multi-purpose product, then you might want to consider spending a little bit more for that one.